It occurred to me one day that we come from a line of long-lasting marriages. 289 years of marriage between our parents and our 4 sets of grandparents. In conversations I’ve had with people over the years, I’ve learned that this is a pretty rare line to come from. So, I decided I wanted to acknowledge this part of our legacy in our home. 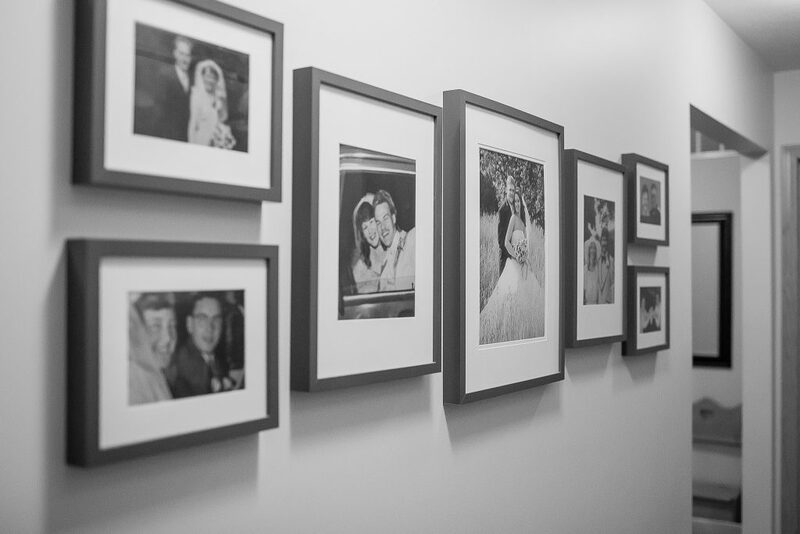 The hallway leading down to our bedrooms holds a wedding photo of Aaron and I, each of our parents on their wedding day, each of Aaron’s grandparents on their wedding day, the best photo I could find of my paternal grandparents, and recently swapped out the best photo I could find of my maternal grandparents for a photo I had the incredible honor of taking for their 60th wedding anniversary. What started out as just recognizing a cool piece of each of our histories turned into something way more, representing something with so much more depth. Regardless of whether you have been married or not, relationships in general are hard. Friendships, family, marriage, it’s just HARD sometimes. 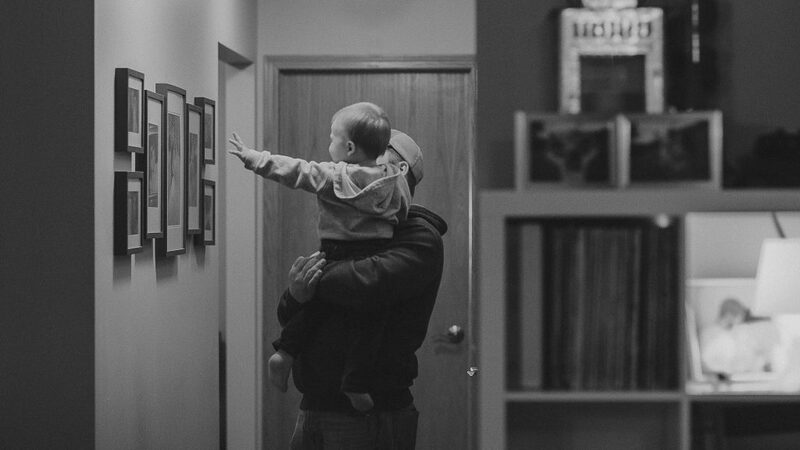 I started looking at these photos one day after I had laid William down for a nap, and a completely different emotion came over me aside from just the normal love I have for them. I began seeing the people within these frames in a new light. I started thinking about the different situations these couples went through over the years. As I slowly walked by each one, I couldn’t help but to stare at each one with tears in my eyes as I thought about the things these couples went through over the decades. Together, they went through [I’m sure] countless disagreements. Together, they moved across the world to a land they didn’t know. Together, they went through the excitement and joy of having children. Together, they grieved the loss of their children. Together, they had to say goodbye to parents who left this world way too soon. Together, they realized that they’d rather fight this life together than separately. Together, they were entrepreneurs with successful and failed businesses. Together, they had to decide whether to keep the lights on or put food on the table. Together, some of them still act like they just got married yesterday. I stood there as tears streamed down my face, blown away that THIS is our family. They are strong. They are fighters. They are lovers. We come from incredible stock. My hope and prayer is that Aaron and I can be this kind of example to our family. But until then, each morning as we pass the lives lived, frozen in these frames, my hope is that we remember to approach our day with what they all clearly possess; strength and love. And at the end of the day, we can peacefully rest, ready to begin a new day, with strength and love.